Cairo police have unleashed water cannons and tear gas to disperse a crowd of protesters in front of the presidential palace. 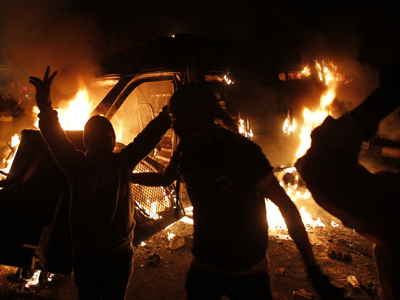 At least one person has been killed and dozens injured in clashes across Egypt. ­Clashes in Cairo broke out after anti-government demonstrators attacked the presidential palace with stones and fire bombs. 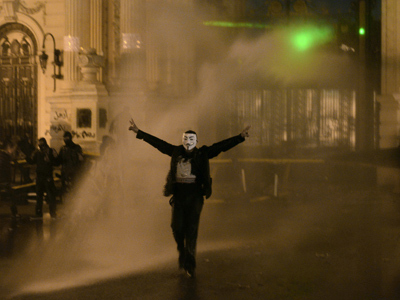 Police moved, in deploying water cannons and shooting gas canisters at the raging crowd. At least 13 people have been injured in front of the palace, Health Ministry spokesman Ahmed Omar told Xinhua. 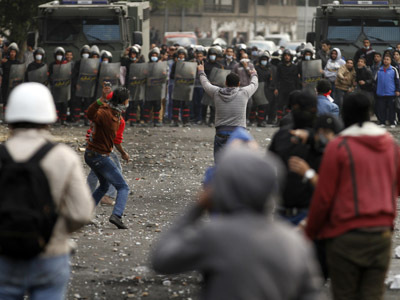 Another 13 were wounded in clashes elsewhere across Cairo, he added. 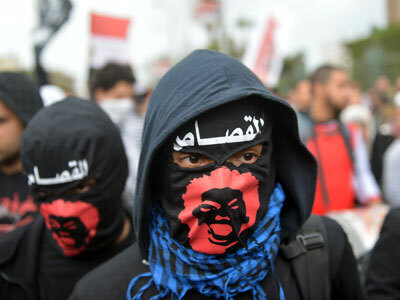 Clashes have also been reported in Alexandria, another volatile Egyptian city, and in several cities across the governorate of Gharbiya, where protesters blocked the roads and pelted the Mahalla City Council with Molotov cocktails, Ahram online reported. “One was killed in Gharbiya governorate [80 km north of Cairo] when a vehicle hit him during an anti-government protest,” Omar said. Earlier in the day, pro-government group al-Jamaa al-Islamiya staged a rally in a square near near Cairo University. 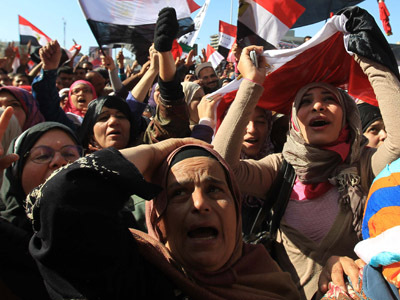 Thousands of Islamists reaffirmed their support for President Mohamed Morsi and voiced their rejection of violence. 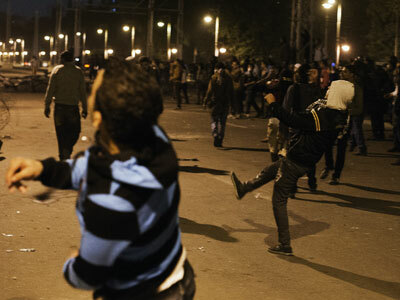 At the same time, opposition groups rallied at Tahrir square and near the presidential palace in downtown Cairo.